Can Amanda Knox be extradited? In following the Meredith Kercher case, it’s not a question I looked into in detail, but I have always assumed that a hypothetical extradition of Amanda Knox from the United States to Italy would be unlikely. She would have hometown advantage at her extradition hearing and there would be all kinds of loopholes for a fancy or ambitious lawyer to exploit. The most those who believe Knox to be guilty could realistically hope for was the prospect of her being finally declared to be so once the Italian legal process had, at length, reached its conclusion. When, two days ago, Knox and her former boyfriend Raffaelle Sollecitio saw their successful 2011 appeals overturned, much of the media coverage reflected this assumption. Whatever happened, Knox would be safe from the clutches of the Italians, just so long as kept her passport in a firmly-locked drawer. But then I noticed that the BBC had modified its coverage. At first, it thought that extradition was “unlikely”. Then its likelihood was “unclear”. Then it decided that “Italy could seek her extradition” and, finally, that “she could be extradited“. Elsewhere, American lawyers had started to stick their talking heads above the parapet. As with much discussion about the case, their views were radically polarised. “She is never going back to prison!” chirps one. “I can’t see how she could possibly resist extradition!” thunders another. I figure that, where it is hard to find anyone talking to the middle ground, it is probably less likely that the reality is some subtle mixture of the two, and more likely that one side or the other is talking out of its bottom. As you might expect, the US has an extradition treaty with Italy, so the normal course of things is that either country asks for a suspect to be handed over and it just happens. But what various commentators have suggested is that this can’t happen with Knox, because she has already been tried for the crime. Since the the Fifth Amendment to the US constitution outlaws double jeopardy, it would be unconstitutional to extradite her to face a further trial. However, as the law stands (although here we must add the caveat that it doesn’t always stand still), this does not seem to be correct. The authority for that is a 1974 ruling by the Court of Appeals, where the potential extraditee was in a pretty similar situation to Knox, except it was a drugs offence and it was Canada. And he was extradited. The court ruled that what it was obliged to consider was whether there was a conviction according to Canadian law, and not whether the Canadian courts were following the US constitution. It might be pointed out – indeed, it has been, by New York attorney Sean Casey – that the treaty between the US and Italy contains a specific clause regarding non bis in idem, the international law equivalent of double jeopardy. This forbids extradition of anyone previously “convicted, acquitted or pardoned, or [having] served the sentence imposed, by the Requested Party”. The trouble with this is the meaning of “Requested Party”. If you expect this to mean “the country to whom the extradition request has been made”, then you would be spot on. So, in Knox’s case, the clause simply means that she could not be extradited in the case that she had already been convicted (etc) of the crime in the US. That fairly obvious interpretation can be seen as recently as last year in a case before the California District Court. Advice if you are in the New York area: make sure any attorney you hire can read. A further ruling of the Court of Appeals says that judges hearing extradition cases are not permitted to inquire into the conduct of the case according to the law of the country requesting extradition. So, the kind of hearing that some of Knox’s supporters might hope for – one where extradition is denied on the grounds that the Italian authorities don’t have a clue – ought not to be possible. And it also seems like a vain hope that the State Department will intervene to prevent a case going ahead. They are bound by the treaty. There may be cases in which they would intervene, but Knox isn’t suspected of a political crime and there is no issue of national security involved in her case. What could happen in theory is that Knox is able to argue her case all the way and have previous case law swept into history. If she’s able to take it that far, then maybe all bets are off. But a ruling in her favour seems to me unlikely just because it could leave the United States practically unable to maintain extradition treaties with a whole raft of counties, including many of its closest allies. It wouldn’t just affect a few isolated cases, particularly in the case of double jeopardy. If there’s constitutional protection against double jeopardy, then that ought to apply not only where there is an immediate prospect of it happening, but also in any case where someone risks being extradited to a country where there is any possibility of it happening. And how many countries will be willing to reshape their criminal justice system according to US dictats or allow foreign scrutiny of their judicial processes? Oggi is an Italian magazine that has probably been Amanda Knox’s biggest media supporter in Italy during her appeal. This week’s edition naturally carries the news that Amanda is free. And, I’m guessing, the tiny circle you can see just above her name is the Italian guy. But do you get the feeling that the people who do the cover and the people who do the cover-mounted gifts should talk to each other more? For those who have been reading my blog (thank you, by the way) it will not come as a surprise when I say I am less then wholly satisfied with the today’s acquittal of Amanda Knox and Raffaele Sollecito. I’m very much with the unruly mob shouting “shame!” outside the courthouse this evening. In spirit, you understand. I don’t even believe this is a case where a court has erred with two left feet on the wrong side of the fine line between technical and reasonable doubt. I’ll not go into the detail of the evidence, since, over the next few days, that will undoubtedly be done thousands of times with greater inaccuracy than I could ever achieve. But perhaps it suffices to give the view that it is such that no acquittal could have been possible under normal circumstances. It won’t be possible to know how the decision of the court was reached until it publishes its detailed motivation report. But I find it hard to imagine how it will make sense. The disheartening expectation I have, which I think others will share, it that it will offer the reasoning of a court that has crumpled under the pressure of a public relations campaign. A humiliating day for Italy. And, of course, a heartbreaking tragedy if you are able to spare a thought for the Kercher family. Tomorrow, one of their daughter’s murderers will fly home to ticker-tape and a small fortune. Another, like the drummer in successful rock band, will take a smaller share of the royalties, but the proceeds, taking into account possible government compensation, may still be enough so that he is at liberty to choose whether or not he ever wants to work in his life or not. Merdith Kercher’s death seems almost reduced to the level of a smart career move. Today’s verdict will undoubtedly, however, be appealed. That’s more than a speculative exercise, since it does happen than people are acquitted at first appeal and then found guilty by Italy’s supreme court. But the focus of the second appeal will be much narrower, restricted only to questions of law and logic. Although that is construed fairly widely in the Italian system, what it means is that the decision of the appeal court can’t be corrected simply because it is wrong. It will have to be shown to be legally unsound before any evidence can be re-examined. Until the motivation report from the appeal is published, it is impossible to say what the chances of the prosecutors succeeding in a further appeal might be. The case, because it has had such a high profile, may have ramifications in Italy for two reasons. Firstly, even though the reasons for the decision will not officially be known for a few weeks, it can be assumed that the court has rejected entirely the forensic evidence provided by the police. That’s not a small matter. As in most European countries, forensic testing in Italy in centralised, so an implication of the verdict may be that the entire forensic science set-up in the country is simply not fit for purpose or, at least, it wasn’t at the time of the investigation. A modern forensic science service ought to be able to handle DNA evidence that, as in this case, comes from a very small sample or from an item that had lain in situ for some weeks without difficulty. The Italian police would undoubtedly claim that their forensic teams are as capable as any in the world. I’m not in a position to deny that. But, from a practical point-of-view, if the whole of the scientific aspect of a prosecution is capable of simply crumbling in court, it must be important to try to understand why that happened. Secondly, reform of the judicial system in Italy is a very live issue, in no small part because Silvio Berlusconi stands accused of various crimes and so he has made judicial reform a priority. I think it is unlikely that Italian public opinion will be behind today’s verdict and it will be seen by many as an example of how Italian justice is far too lenient with defendants. Personally, I think Italy should take caution before making too reactionary an interpretation of the Knox/Sollecito case. It may be fair to point out that Italian appeals can tend to be slanted so that the focus for live examination is selected aspects of the defence case, so that much of the prosecution case takes a back seat. And there may be some room for quibbling about certain evidentiary rules applied in the case (the exclusion from evidence of Knox’s false allegations against Patrick Lumumba, for example). But the decision today can’t just be about a systematic problem. The automaticity of appeals in Italy may indeed favour defendants. But, surely, a guilty person ought to remain guilty regardless of how may re-trials are granted. If, like me, you’re disheartened by today’s verdict, then I don’t really have much to offer by way of consolation, except the observation that justice is not always done and that’s something we have to live with. And at least you know, next time you kill someone, to think about who is going to do your PR before you think about who your lawyer is going to be. More likely than not, we are now less than a day away from a verdict in the appeal of Amanda Knox and Raffaele Sollecito against their 2009 conviction for the murder of Knox’s flatmate Meredith Kercher. Later today, the two appellants are expected to give spontaneous statements to the court, so as to – quite properly – have the last word before the judges and juror-judges go away for their final deliberations. Undoubtedly, news headlines in the run-up to the verdict will cull some finely-crafted soundbite from Knox’s speech. But the thing to watch out for, which could actually have some influence on the subsequent decisions of the court, will come from her co-accused. The narrative of the defence lawyers regarding the murder centres on the supposition that Knox and Sollecito were at the latter’s flat at the time of the murder. The basic assumption is that they provide each other with mutual alibis. However, things are not actually as clear as that at present. Those inconsistencies might seem awkward enough to explain. 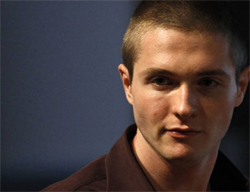 But a potentially thorny problem is that, although it might be assumed that Sollecito now agrees with the version of events as told by his lawyers, he has at no stage made that explicit to the court. So accepting the alibi is not straightforward. When he addresses the court, assuming he does, he has the opportunity to set the record straight and shore up the alibi. But doing so may be problematic from another point of view. There’s a perfectly viable logic by which the court can uphold Knox’s conviction whilst overturning Sollecito’s. That could happen, because there is simply less evidence against him, particularly if the bench decides it can’t rely on the famous bra-clasp evidence. And, as things stand, the problem of why he would vouch for Knox in a scenario where she is guilty and he is innocent doesn’t arise because, strictly speaking, he hasn’t actually done that. So, Sollecito and his legal team are in the horns of a dilemma. Should he stand up and corroborate Knox’s version of events? Or should he continue to exercise his right not to talk about it? I honestly can’t say which he will do or which would be in his best interests. However, if he decides to address the issue, then he may be tying his fate to that of Knox. So if it does happen, it is probably a sign that Sollecito’s lawyers do not believe an accquittal for Knox to be unlikely. Since this may be my last post before the verdict and since I can tell by the look on your face that you are dying to know, here is the best I can do in terms of a set of predictions. Firstly, I don’t think anything at all can be ruled out altogether. However certain I or anyone else might be, there is no accounting for the fact that courts sometimes make decisions which appear irrational, either because they are or because the court has much better access to all the information than anyone who takes it upon themselves to commentate. However, I think it will be an astounding result if both Knox and Sollecito are freed. Given that so many others are less certain, you might think I’m being bold. But you should consider three things. Firstly, a lot of what you have read about the case is made up. Secondly, there is a lot of evidence. Considerably more, as I attempted to show with this post, than a murder conviction necessarily requires. And the various strands of evidence are independent of each other, so that there is no likely house-of-cards effect whereby the judges can pick up on something neglected by the lower court which changes the whole picture. Thirdly, without exception, the various explanations (at least, those which have any degree of coherence) of how Knox and Sollecito might be innocent, whether they are found in the media or on the Internet, share one thing in common. Even if they do not say it out loud, they always carry the implication that our unfortunate heroes must have been actively framed. One of the Sollecito’s lawyers, Donatella Donati, was even brave enough to hint at that possibility in court this week. But it is just not a thesis that the bench can possibly entertain. Could the famous Italian sense of pride (rolleyes) have overridden all sense of normal morality in that way without anyone ever breaking rank? Not in the real world. Sollecito’s chances of an acquittal are slightly better than Knox’s, just because there is less evidence against him. As I said above, this could be influenced by what he says in court today. Apart from the basic question of innocent-or-not-so-much, as I suggested in this post, I think a significant increase in the sentences is unlikely, but I think a slight reduction is 50-50. In terms of the charges other than murder, there is a charge of staging a crime scene, which logically stands or falls with the murder charge. The same might be said for the charges of stealing from the victim and illegally carrying a weapon. It should be acknowledged, though, that these convictions were somewhat inferential on the part of the trial court, so it is possible they will be overturned. Knox’s conviction for criminal libel, for having falsely accused her boss Patrick Lumumba, will, I think, stand regardless of what happens on the murder charge. This is because she doesn’t actually deny it, because, from a pragmatic view (even though judges should not really be pragmatic in this way) she has served her time for that offence and because, even in the event of an acquittal for murder, the judges will be aware that the money she will have to pay Lumumba is small potatoes compared the riches awaiting her at home. These are no more than my opinions, of course. You may be interested to note that numerology has decided differently. If the court keeps to its schedule, there’s only a weekend left between now and a verdict in the appeal of Amanda Knox and Raffaele Sollecito. Over the course of closing arguments, it seems commonly agreed that there have been impressive courtroom performances from lawyers representing both sides of the case. And they have also, between them, developed a handy set of bad analogies so as to provide a sort of psychedelic overview for those who don’t find the whole case strange enough as it is. DNA profiles are pasta dishes. Amanda Knox is Jessica Rabbit. And also the goddess Venus. Not to forget, all sorts of enchantress and demon. Sollecito seems to have barely been mentioned, even by his own lawyers, so he remains, in contrast, just some guy. Or perhaps he is Roger. For the defence, the prosecution case is like a bunch of neutrinos whizzing along a tunnel. Or possibly like a hydra. I’m not sure what this means, but I’m guessing that the most obvious interpretation – that is is virtually undefeatable – is not the one intended. What neither the prosecution nor the defence have provide, though, is anything very new. Over the last few days, all we have heard is rehashed versions of arguments that will be so familiar to the bench that they will have sounded like the lyrics to a pop song that has been with them since childhood. The only real, fairly minor, surprise was that the defence adopted a thesis that various blood samples found in the flat containing the DNA of both Knox and Meredith Kercher were indeed a mixture of blood from the two. Knox’s supporters have long pointed out that this cannot be known, because it is scientifically not easy to tell the difference between a mixed blood sample and, say, a mixture of blood and saliva. This seems perfectly correct. But the defence appears to have decided that it might just as well be blood. After all, the idea of Knox spitting in various locations where Kercher’s blood was coincidentally later deposited sounds marginally less plausible than the idea that she coincidentally bled in those locations. Due to an incident with an earring, it turns out. The other notable development in the defence summing-up was the ways in which it didn’t develop. Crucially, there is a clear theoretical argument that the knife alleged to have been used by Knox to kill Kercher and the clasp from her bra, alleged to have been handled by Sollecito after the murder, were in fact contaminated with DNA some time later, and so they are not reliable. We might, during closing arguments, have seen some defence hypothesis suggesting how this might have happened, but it didn’t come. In the case of the knife in particular, it ought to have been important for the defence to complete the circle. It was recovered from Sollecito’s flat, where Kercher had never been, and lab contamination seems to have been ruled out. So how is her DNA supposed to have got onto it? Courtroom DNA controversy or no, it’s hard to see how this doesn’t solve the case pretty much on its own. In news reports about the closing arguments of both the defence and the prosecution seem to betray an almost pathological obsession with influence of the media over the case. Or is it just that the media is pathologically obsessed with itself? Hard to tell, maybe. But it does seem clear that prosecutors and defenders spent valuable time during their speeches talking about unfair coverage. But, more curiously, their target was not fevered and exaggerated coverage in Perguia (this doesn’t really exist), but general criticisms of and stale reports in the English language media. The prosecution condemned CBS, the defence condemned the Daily Mail, and so on. Now, it’s not that this has no relevance to the story. For supporters of Amanda Knox, publications such as the Mail are responsible for an insidious campaign of character assassination against her without which Italian judges, clearly avid consumers of British tabloid journalism, could never have suspected her of anything. On the other side of the argument is the claim that a professional and well-financed PR campaign on her behalf has twisted a case in which the facts were clear into a manufactured controversy. The Knox family control the US media, and who’s to say that doesn’t mean they control the whole world? Call me naive, but I think the one place that the facts of the case will be clearly heard above all the din and chatter is in the deliberations of the appeal judges and juror-judges. They don’t really need reminding to ignore the cobblers that has been written about the case in a foreign language. So who are the lawyers talking to? They surely can’t have been, in their vanity, addressing their words to the 400 or more journalists currently squeezed into the courthouse? This case has always been weird. On the other hand, perhaps I am indeed naive. Perhaps the case will be decided according to the opinions of ill-informed hacks and nonsense on the internet such as you are currently reading. I can’t believe it is likely, but it may be the last ray of hope for Jessica and Roger. My post for today is about the rules governing sentencing for murder in Italy. Not unexpectedly, the prosecution in the appeal of Amanda Knox and Raffaele Sollecito today asked the court to impose life sentences on both of them. This would be a stiffer punishment than the 26 and 25 years, respectively, that were handed down in the original trial. But what are the chances the prosecution will get their wish? Once again, I feel obliged to make it completely clear that I am about to pontificate about things that I am absolutely unqualified to address. But I’ve gotten away with it in the past. Please feel free to comment below if you think I have any of these details wrong. It doesn’t seem that the prosecution are pursuing with any vigour the line they argued unsuccessfully at trial, that life sentences were appropriate because the crime was premeditated. The criterion they are focusing on now is provided by Article 557 of the Italian Penal Code, which allows for life imprisonment for murders carried out for “depraved or trivial reasons”. In other words, it applies in cases where a murder appears meaningless and purely sadistic. And this is what was suggested today by prosecutor Manuela Comodi. Meredith Kercher, she said, was “killed for nothing“. Obviously, the question for the courts, in the event that the convictions are upheld in the first place, is how well this assertion fits the facts. If the way the original trial against Knox and Sollecito went and, to a lesser extent, the proceedings against their co-accued Rudy Guede, the judges will have a lot of leeway to fill in the blanks and decide precisely what motivated the murder. But they also face the problem of what to do when it’s virtually all blanks. We can know very little for sure about precisely what happened in the minutes and moments leading up to the crime. But we can speculate. Perhaps Kercher was killed for reasons which, though it seems perverse to express it in these terms, might be described as something other than “depraved or trivial”. There’s some suggestion in the evidence, for example, of a row over money. Or maybe there really was no comprehensible motive for the crime. But when you just can’t be sure, can you really make someone a life prisoner based on a leap of imagination? My guess is probably not. It’s worth noting, though, that a life sentence may not add much to the status quo when compared to the current sentences being served. Life doesn’t mean life in Italy and Knox and Sollecito would probably be eligible for parole in 2028. That’s the same date as currently applies in Knox’s case, and it adds only a year onto Sollecito’s current likely jail-time. It might, thought, cause a delay of a couple of years in terms of their so-called Gozzini rights, which will allow them, after a certain period, to get day release from prison in order to work and will also grant them generous supervised periods out of detention (it came as a surprise to me too, but it seems that, even if their convictions are upheld, Knox and Sollecito could potentially be back in their own beds for up to 45 days a year, conceivably starting within the next twelve months if they were to get a slight sentence reduction). Which brings us to another obvious question. If they lose their appeals, could Knox and Sollecito still get reduced sentences? And, if so, how reduced? The minimum sentence for murder in Italy is 21 years, by virtue of Article 575 of the Penal Code. However, just as life doesn’t mean life, it turns out that minimum doesn’t mean minimum. Articles 61 and 62 of the Penal Code set out a number of defined aggravating factors and a general provision that anything suggesting the reduced culpability of a defendant can be presented as a mitigating factor, and the sentence adjusted accordingly. Amanda Knox’s many fans shouldn’t get over-excited, though, because it does seem like significant reductions in sentences for murder are rare, and really reserved for cases where there is a very significant issue about the responsibility of the perpetrator, such as low IQ. She won’t get it just for her charming personality. At trial, Knox and Sollecito got 24 years each for the murder, with the addtional years of their sentence relating to staging a burglary, theft, carrying a weapon and, in Knox’s case, her false accusation of Patrick Lumumba. The 24 years took into account a lack of premeditation and acts which the court took to be slight signs of remorse (for example, covering the body after the crime) as mitigating factors, and the cruelty and sexual aspect of the crime as aggravating factors. I’m not sure that the appeal judges have an awful lot of room for manoeuvre here. Maybe a little, but it would seem hard to deny either that the crime was cruel or that there was a sexual aspect to it. I also don’t think it is likely that the sentences will be commuted to anything less serious. Italian law does allow for crimes of unintentional homicide, but it’s clear that the facts of this case are not going to fit that. And it’s hard to see the court coming up with a scenario in which either Knox or Sollecito are mere accessories to the crime. Could anyone believe, for example, that they had nothing to do with the murder but took pity on Guede and decided to clean up after him? In theory, the Italian Criminal Code allows a reduced sentence if any one of the three can establish that they took part in the crime but didn’t intend the victim to die. But how can the court establish such a claim on behalf of someone who won’t even admit to being at the scene? It might even be supposed that either Knox or Sollecito got involved in a clean-up after the murder out of infatuation with the other. But surely they would have said so by now? Without evidence to support such a scenario, there’s nothing a court can do to help the dumbstruck. One thing ought to be clear. The court will not reduce the sentences as any sort of compromise between guilt and innocent. If it has doubts about the convictions, they will be overturned. After a five-week break, the appeal of Amanda Knox and Raffaele Sollecito against their conviction for the 2007 murder of Meredith Kercher will resume on Monday. We pick up where we left off, in the middle of discussions about the reliability or otherwise of DNA evidence taken from a knife, alleged by prosecutors to have been used by Knox in the murder, and from the clasp of the victim’s bra, said to have been removed from her body by Sollecito after she died. That’s a debate that took some dramatic twists and turns before the court went on its holidays, and it may be that we have not yet reached the end of that twisty-turny phase. At the end of June, two court-appointed scientific experts submitted a report re-examining the conclusions of the forensic work originally performed on these two highly important pieces of evidence. The report presented a clear argument that the results seen could plausibly have been the result of contamination, either in the laboratory or during the collection and handling of the evidence. During that collection and handling, they said, procedures fell below that which ought to be expected. Furthermore, not enough was known about procedures in the lab to be sure that contamination could not have occurred there, particularly in the case of the knife, because the amount of the victim’s DNA apparently found on the blade was so tiny that even a very small slip in procedure could have caused it to be present due to cross-contamination from samples of the same DNA previously run in the lab. They recommended that DNA from neither the knife nor the clasp should be considered reliable. That hasn’t been the end of the matter, though. The prosecution, finding themselves suddenly playing the defence in a sort of play-within-a-trial, began their fightback in the last session before the summer break. Most significantly, lead prosecutor Manuela Comodi was able to get Carla Vecchiotti to agree that the amount of time that had passed between the testing of the knife and clasp samples and any prior testing related to the Kercher case had been sufficient so that it was unrealistic that any potentially contaminating DNA might have still been present in the lab. That seems to add up to a pretty impressive turnaround on the part prosecutors, since it may make questions about the standards applied in the lab irrelevant. Whatever they were like, it’s not possible to contaminate a sample with DNA which isn’t there. It’s particularly significant in the case of the knife, because it was recovered from Sollecito’s flat and it is well-established that Kercher had never been there. It therefore seems unlikely that her DNA could have got onto the blade by any means in that location. If it can’t have been contaminated there and it can’t have been contaminated in the lab, then it remains reliable evidence. Not long ago, the knife seemed all but destined for the evidentiary trashbin. Not any more. But the defence may not yet have said all they have to say about that. The situation is different with the bra-clasp, because that was recovered from the flat where Sollecito’s girlfriend, Knox, lived and he had been there numerous times. The prosecution are insistent that the chances of his DNA being on the clasp by contamination are too slim to be taken seriously, even if there were lapses in protocol at the crime scene. But the court has been shown a DVD of forensic work that went on there, which the defence hope will have demonstrated that this is not a safe assumption. I’ve only seen a few short extracts from that DVD, but I guess the big question is what the judges and juror-judges will have made of it. Will it have looked to them like a standard crime scene, perhaps with one or two forgiveable lapses of concentration on the part of investigators? Or will they have struggled to keep the Benny Hill theme tune from playing in their heads as they watched? On Monday, further cross-examination of Carla Vecchiotti and her colleague Stefano Conti is scheduled, this time by Francesco Maresca, counsel for the Kercher family. He has expressed to the media in no uncertain terms his exasperation at the DNA report. For him, it was one-sided and incomplete. No doubt that’s something he’ll be repeating. He’ll also want to get his questionees to repeat the thing about contamination in the lab. But will he have anything up his sleeve that can do the same for the clasp as has apparently been done for the knife? We can expect that questioning to be thorough, so there may not be time for much else. But, if there is, the court may here from personnel involved in the original forensic work. There may also be mention of Luciano Aviello, a Mafioso who previously testified that his brother had murdered Kercher, but has since said he was offered money for this testimony and he was lying. Aviello was never really a credible witness, so I don’t think this will have any impact on the appeal, but the court will want to get his retraction on record at some point. There was a good article about the case in yesterday’s New York Times. The first thing that struck me about it was the title: “Mother’s Long Vigil for Seattle Woman Jailed in Murder”. I’m sure that must be the first headline about the case in nearly four years not to feature the word “Knox”, which may be a sign of how far out of the public consciousness the story has slipped. The second thing was a quote from Manuela Comodi apparently agreeing with me that the second most important element to the prosecution case, after the knife and clasp, is the evidence of a staged break-in at the crime scene.